Nashville is awesome. Used to spend a few weeks there every year for work. We were at the last game there with a big group and it was a blast, Bills fans all over downtown. Stayed at Hotel Indigo near Printers Alley. Small rooms but great location for the weekend festivities. Most of our group drove down early Friday from Cbus but my wife flew in later that day after work. I’m normally all about a drive, but that Monday return trip was a little rugged. We hit the bars HARD after the game. Prob going with the 1 hr direct flight this time around. Really hoping the timing works out for this one again, have a few weekends this fall that I already have some obligations for. Looking at one of the NYC games as a second road trip or possible back up if Nashville doesn’t work out. Always love the schedule release day. I’m usually planning out vacation days, booking hotels & flights, etc within minutes! Printers Alley is certainly in the heart of it! Room size doesn’t matter as long as you have a bed and a bath. We used to have a condo there and still have a grandson there. Get back almost monthly. I hadn’t thought about NYC, but my wife works there about half the month. Not my dream game trip, but worth considering...... I mean, at least once to cross it off. If you make it this year, try to get over to the Gulch. Easy walk or Uber from Broadway/downtown. I do it for a break from the loud music scene. Green Hills, 12 South and the Vandy/Belmont areas a re cool too. Great town! So that would be Sept 8, right? I believe the Bills opened at home against Miami in 2010 but it was a forgettable game. I agree though that the schedule is always exciting. Time to start planning the games and tailgating. Hoping we get another MNF game this year. 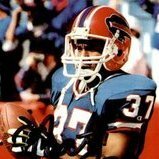 I predict that the Bills will play 15 Sunday games at 1:00 PM and a MNF game at the Jest in the first half of the season. I wish I could forget that game. Just horrid. First game of Chan Gailey’s tenure; Bills’ only TD came on a 4th down pass to Roscoe Parrish and late in the game Trentative Checkwards forgot it was 4th down and ran out of bounds. Sure was. And the Bills had the rock with under a minute left, deep in their own territory and that joker, Trent Edwards, STILL wouldn't throw down the field. I'm targeting the Philadelphia game at home, and the Dallas game on the road. I wish the NFL would stop being so pretentious and wishy-washy on when they plan to announce the schedule dates. Just pick a date and let the fans know, so there is no guessing. I was just about to post the same thing. if you're going to beat them, it'll be during the first month or so. Thanks for the reminder to book rooms now before rates go up. I typically book the first three weekends, but based on your intel, only booked the first weekend this year. If I remember correctly it's not that they are wishy washy, it's that literally right up until they announce it they are still tinkering and dealing with stadium availability issues and whatnot. It really is an incredibly complicated process. Once I became “established”, schedule release day took on a whole new importance. Picking games and/or cities to visit is a great time. I’m hoping Cleveland is a weekend game. I just went there this weekend for the Jays game, and I’d like to go for the Bills game but don’t want to take time off to do so. Pittsburgh is another option I guess. Cleveland is a fun trip, did that one 7 or 8 years ago. Ton of Bills fans there. Tailgate was fun, the Browns fans were mostly cool.. If it lines up me and some pals are going to the Steelers game this year. Never been there. Schedule release day is as exciting as a Mike and Molly marathon. Neat, here’s when the games are played against the opponents we already know are being played. So you dropped by just to say that? How big of you! I dropped by a forum I post on to post? I think we should ignore people like you. No, you specifically entered a thread you admittedly have no interest in, to tell everyone you have no interest in it. You can try to rationalize that to yourself all you want, chief. I don’t need to rationalize anything. It’s a forum I post on. And posted in a thread. Real tough to understand. Seems that I offended you with my words. Not offended, just curious at the mentality of someone who chooses to do what you did. I've apparently struck a nerve. Dozens of threads per day, where people share their opinions whether they agree, or disagree with the topic at hand. Someone DARES to make fun of schedule release day and you take issue with it. Seems the only nerve struck is yours. Hey man, cheers to you -- you successfully pissed in the punch bowl! Hope it made your morning!